At I Want A Lace Wig we have over 7 years of hands on experience. 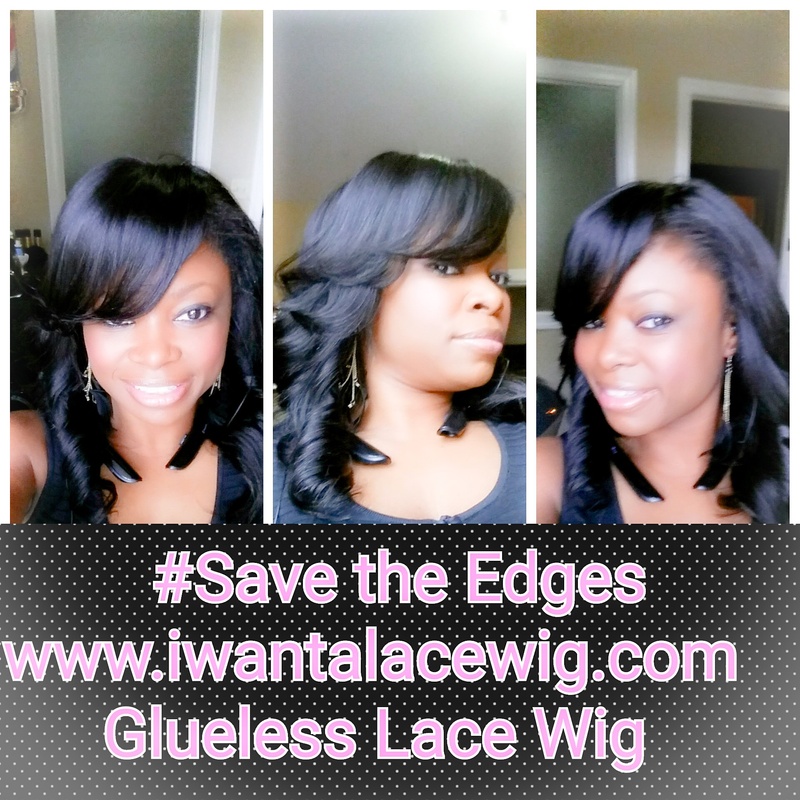 Save THE EDGES Awareness Campaign is a campaign for people who suffer from hair loss due to damaging chemicals or premature hair loss. My alternative (GIRLIE LACE WIGS) will allow one to save their edges (or grow them back) and look just as fab as a sewin or natural hair. IT'S FAST, FAB, FIERCE IN FIVE MIN OR LESS... Simply tell a friend to spread the awareness and add your email address to win a wig form. The fabulous fashionGirlie Lace Wigs on our site are carefully selected to match every customer's needs, which are: lightweight, ultra comfortable, natural looking, long, medium, medium short, short, curly, wavy, straight, along with a full range of natural colors. Best of all, when you choose us, you can always order with confidence. In addition to making ordering fast and easy, we promise every order by mail or right here online, your transaction will be 100% safe and secure. As a company we strive to offer the best in both product quality and customer service. We offer guarantees on all of our products, which we stand behind 100%. All lace front wigs we offer are new, never worn and top quality. Whatever you want we can supply, and in a timely manner. Please be assured that when dealing with our company you will be receiving top quality hair. We strive to be the best in hair quality, construction, materials and customer service.